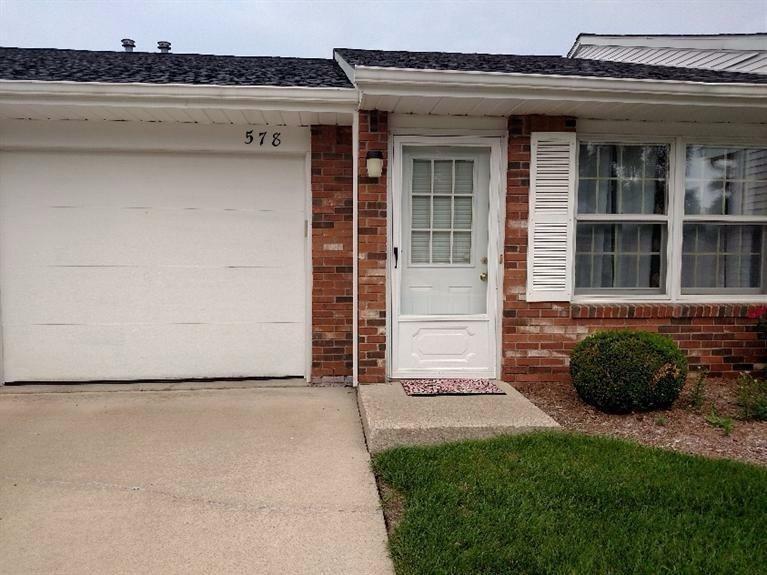 Absolutely charming Ranch Condo in desirable Yorkshire Square. Very quiet community with a courtyard Gazebo. Freshly painted! New appliances: dishwasher, stove, refrigerator, sink and faucet. Brand new counter tops in kitchen and bath, featuring Oak cabinets, ceramic tiled flooring. New window blinds throughout. 1 car attached garage with plenty of storage. Private back patio.